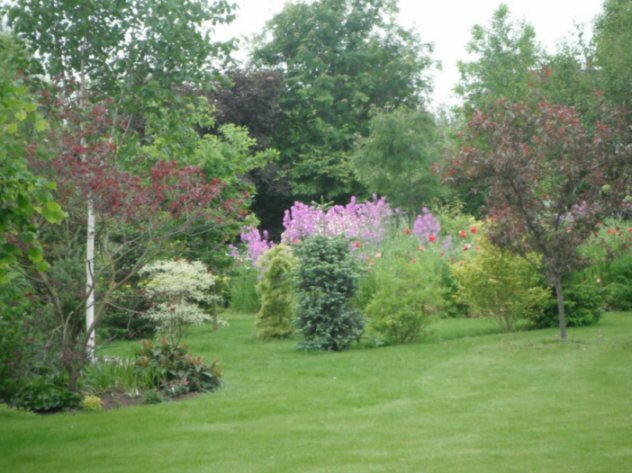 There are about 80 trees in the grass, most were planted in Autumn 2005. 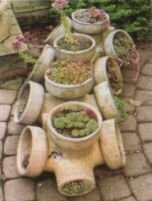 The majority were bare rooted but they are not obviously different from those that came in pots. 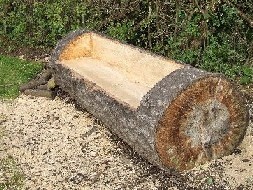 We are intending to incorporate groups of trees into island beds, over the next few years. This will allow us to use the increasing protection from the strong winds that the hedge and trees will give, as they mature. 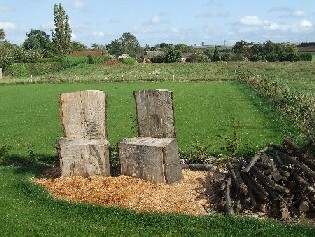 "The Thrones" and a log bench - after fun with the chainsaw. 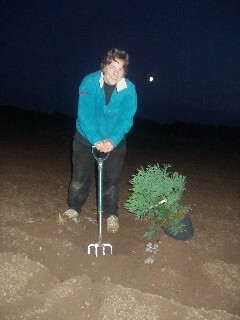 Our very first tree (Giant Redwood) planted by moonlight! 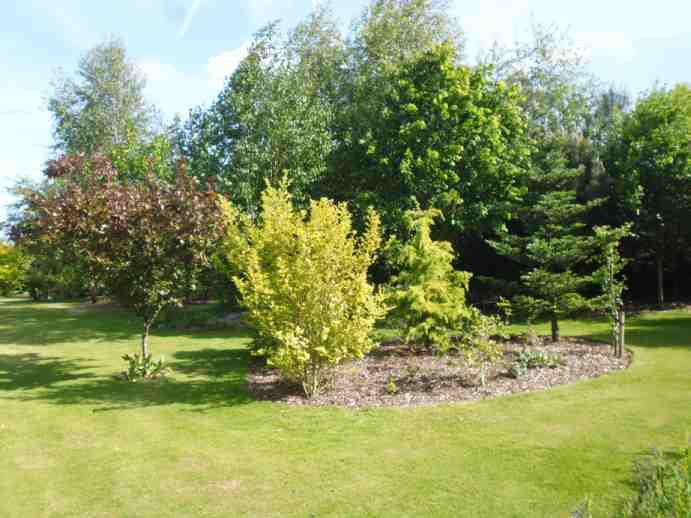 How the trees looked in 2006. 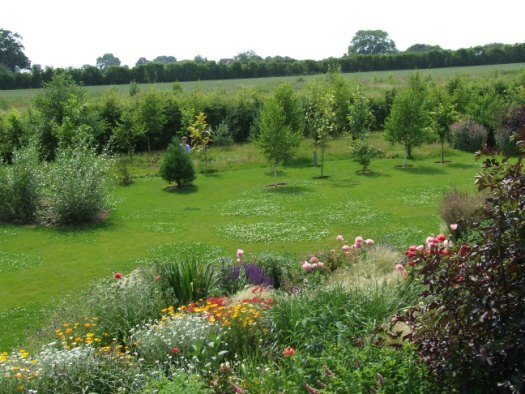 How they looked a couple of years ago - Pauline is hiding behind that tree again! Not so "Young", some of these trees now! 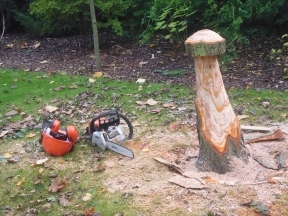 and we are always happy to have toadstools!